This week I received not one but two paperback anthologies, each containing one of my stories, both of which I am extraordinarily proud to be a part of. 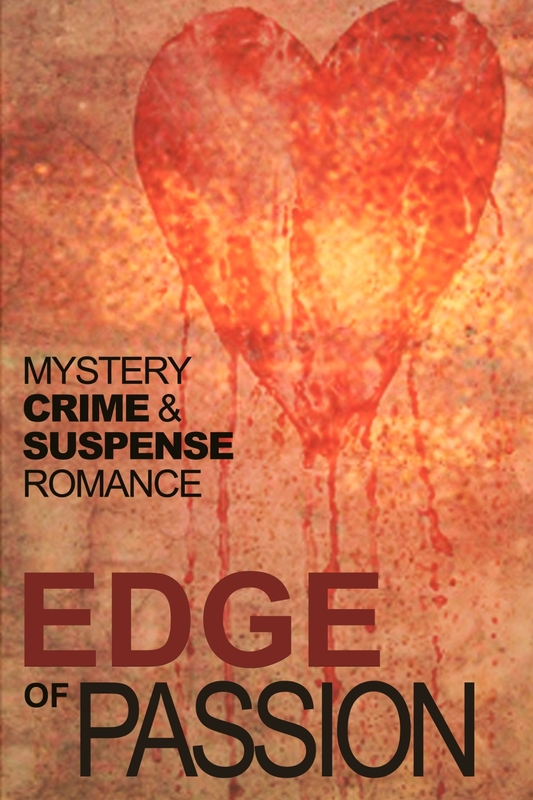 The first is Edge of Passion, a Crime, Mystery and Suspense Romance collection, to which I was invited as a guest writer with one of my Strid stories, Two of a Kind. The other, Eating My Words, is National Flash Fiction Day’s 2014 selection of fifty flash stories, and includes The Bedroom Tax, my satire on this government’s morally bankrupt plan for saving money. Both of these are available in kindle and paper formats. While it’s lovely being published in either form, there’s nothing quite like holding a real book with your name in it. Especially when it’s among writers whose work you have long admired! I am also delighted to be Alfie Dog’s featured writer for the next two weeks. Alfie Dog publishes in several downloadable formats and there’s something for everyone, so please pop along and have a read. If you fancy an unusual and entertaining insight into the red-light district of Coventry in the 1970s, try Footprints. It’s not what you think. 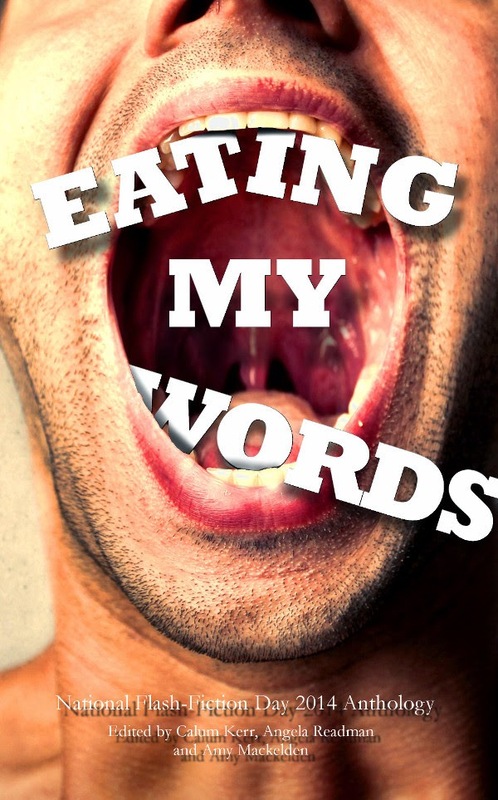 Some years ago when self-publishing ebooks was still new, I decided to give it a go. I’d wasted years sending novels out to agents and publishers and getting nowhere. I’d had short stories published in magazines and anthologies and some articles and poetry accepted but, apart from one book (The Man with the Horn) which was taken on by a small press, my novels never managed to find homes. Though agents said they liked my writing and often made suggestions for commercialising them, none of them was willing to take me on. I watched my life slipping away while my books languished unread. Venturing into the ebook market changed all that. I now have readers – not huge numbers but better than none – and I get some small recompense for my literary efforts. Formatting and publishing ebooks involved a learning curve but fortunately for me, not a steep one. I already knew the basics of using Word and how to layout documents; I knew a fair bit of HTML and I had a general grounding in IT. Formatting the ebooks still required a little trial and error but I soon learned by my mistakes. Before long I was up and running and checking my sales every five minutes. In those early days I did my own proofreading – something I also do for others – and since I had a basic understanding of Photoshop and design, I created my own covers. Indeed, I did everything myself from writing the book to banking the US cheques. (Amazon now pays directly into a bank account, so at least that bit of faffing about has gone.) I was confident enough in my ability to offer to assist other people in getting their ebooks published. So, if I was managing by myself, why did I decide to join an author collective? I had been sending my new book – Delirium: The Rimbaud Delusion – out to agents but again I had no luck in getting anyone to sign me up. Hoping this would be my breakthrough novel, as I felt it was the best work I had done so far, I longed to see it in paperback format not just digital. I wanted to possess the real artefact to hold in my hands and caress. Self-publishing a paperback is both easier and harder now than it used to be. Easier because the processes become more and more user-friendly as time goes on; harder because the marketplace is swamped, the Amazon algorithms are less favourable to independent authors (unless you first sell vast amounts of books), and it’s a struggle to make the book visible to readers. There is also still some stigma attached to self-publishing actual books – I believe this is because sometimes those books are not well made, not vetted in any way for mistakes and the covers look homemade. The thought of producing a paperback all on my own was daunting. I already knew the women who set up Triskele (JJ Marsh, Liza Perrat, Jane Dixon Smith, Catriona Troth, Gillian Hamer) virtually from online writing groups and I went on to meet them at a couple of their book launches. I knew their writing and they knew mine. They had produced some excellent books housed in droolworthy covers. By the time they broached the subject of my joining them, I had already decided to approach them. We came together at exactly the right moment. Joining Triskele Books meant I no longer had to do everything myself. The cover of Delirium: The Rimbaud Delusion has been created by Jane Dixon Smith (herself a Triskele founder, writer and professional designer), the proofreading has been done by Perry Iles of Chamberproof, and I’ve had input, advice and encouragement from other members of the group. Mistakes in an ebook can easily be rectified: typos and formatting can be put right; a bad cover can be changed for a better one. When it’s a physical book though, any overlooked errors are there until the next printing and are often costly to correct. If I had tried to do everything myself the final product would not have been as polished as it is going to be. When going it alone there is always the temptation to cut corners. Any cover I might have designed would not have been as sleek and professional as the one Jane has created. Left to my own devices I would not have sent the manuscript off for a final proofread – and it would have been the worse for it. I would not have made the cuts and rearrangements which were suggested by members of the team. Triskele has its own website, blog, bookclub, Facebook and Twitter pages and, because there are several people involved, a wider reach when it comes to gaining readers. Their books look highly professional and can stand alongside traditionally published books with their heads high. There is quality control regarding both form and content – they lend their name only to books that are well written and that ultimately look great. I’ve always been a loner and, like Groucho Marx, wouldn’t want to belong to any club that would have me as a member, but in the Triskele collective I believe I have found a group of like-minded writers. The collective is composed of talented individuals who have come together to create a greater whole. I am honoured to be among them. 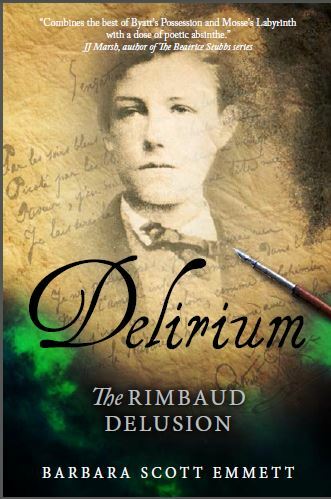 Delirium: The Rimbaud Delusion, a novel about a woman’s search for a missing manuscript and subsequen disorientation, will be available as an ebook in August/Sept 2014. The paperback will be available shortly thereafter. The Man with the Horn, a novel based on the myth of Dionysos, is being re-edited and will be available as an ebook soon. For more information visit Barbara Scott Emmett’s blog or follow her on Twitter @BSE_Writer. Don’t Look Down, a thriller set in Germany, The Land Beyond Goodbye, a novel set in the Australian outback and Drowning: Four Short Stories are all available as ebooks.